Stay the night among wild animals, look out over expansive savannahs or peaceful waters. 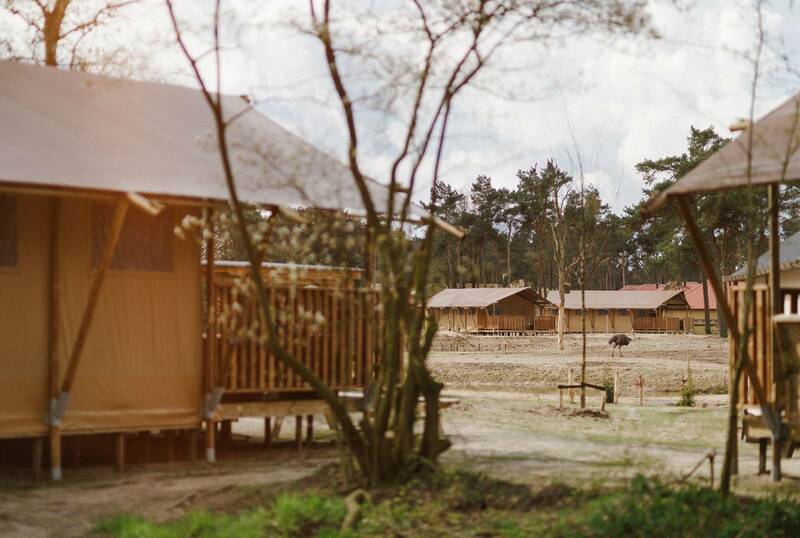 Enjoy our nature, while listening to the lions roar in the distance. 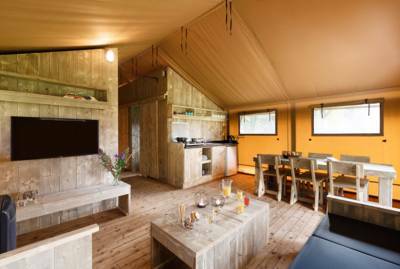 A 6-person Safari Tent at Safari Resort Beekse Bergen offers the perfect combination of adventure and luxury. 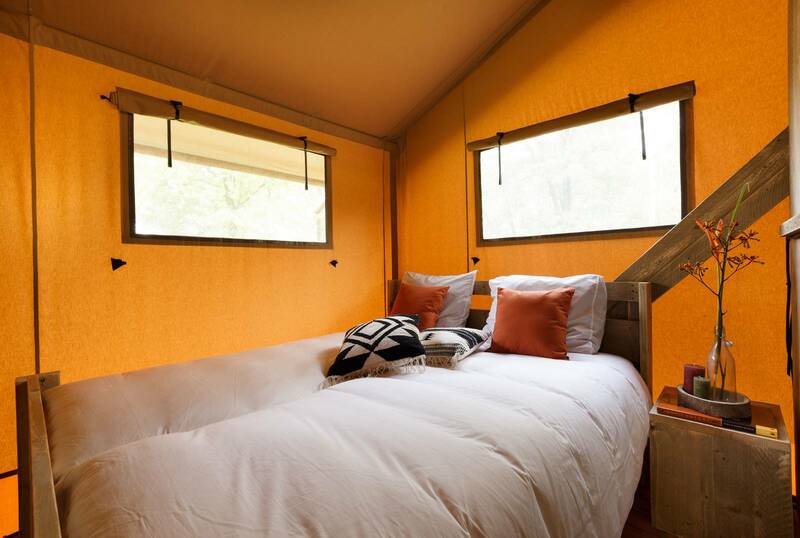 Adventurers will love this Safari Tent. With the right balance between luxury and adventure, you will experience the ultimate safari feeling. 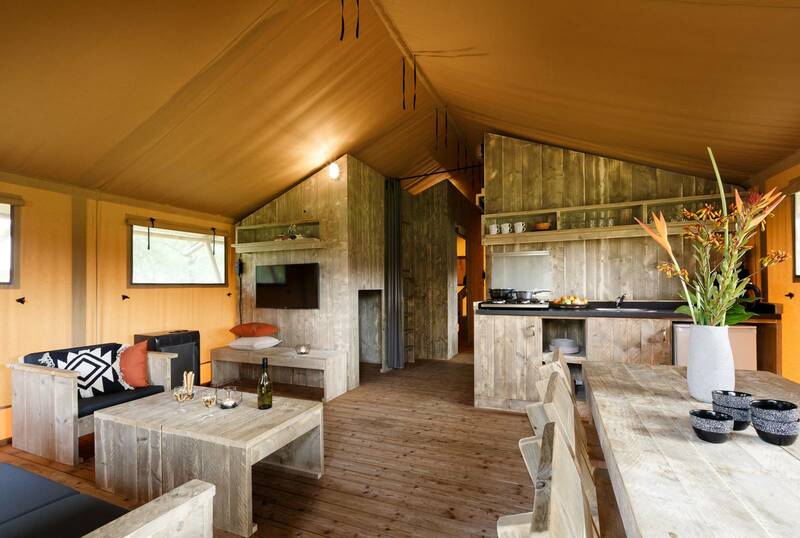 In a wooded environment, surrounded by animals, the Safari Tent is the most adventurous accommodation. 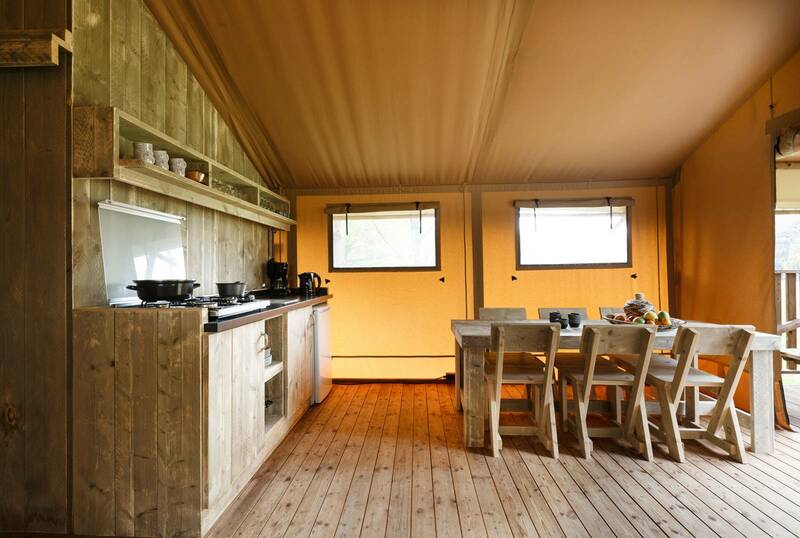 This Safari Tent is equipped with all kinds of facilities that will make your stay as comfortable as possible. 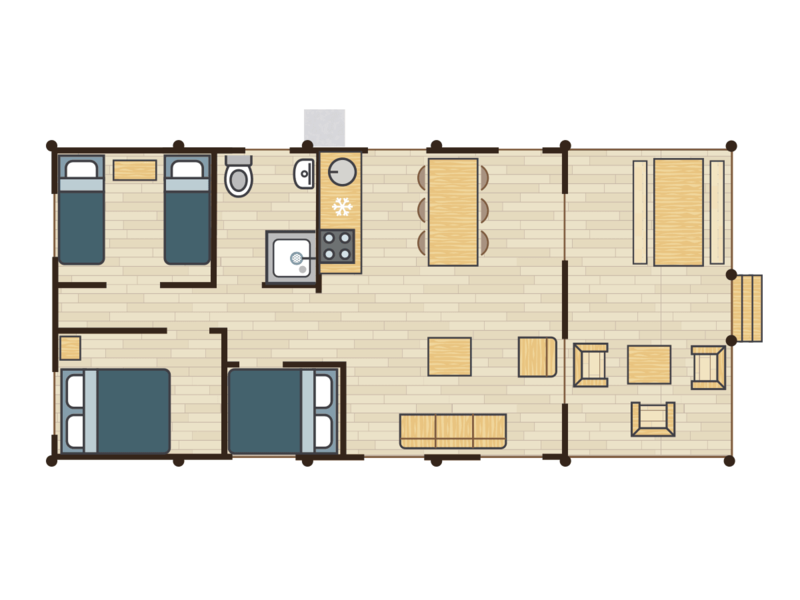 For example, you will have heating, a lovely open kitchen with dining table, two bedrooms, a cosy box bed and a bathroom with shower and toilet. 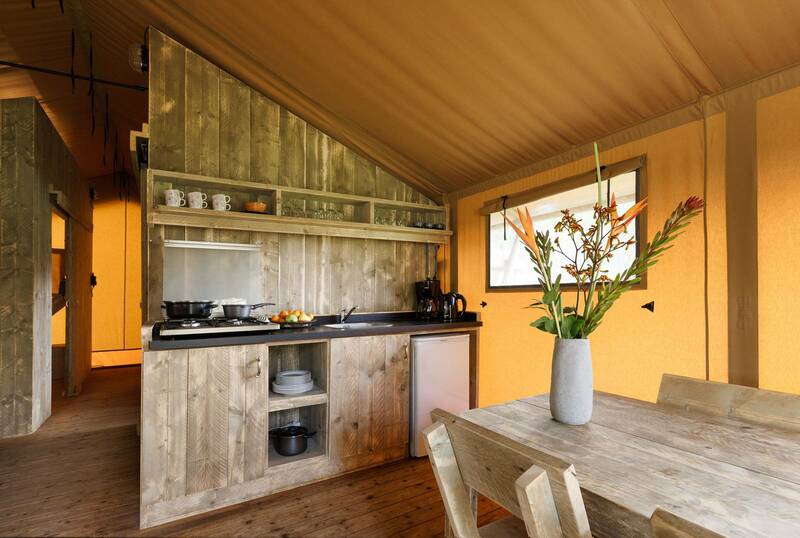 These facilities make the Safari Tent the ideal accommodation for adventurers who like their home comforts. 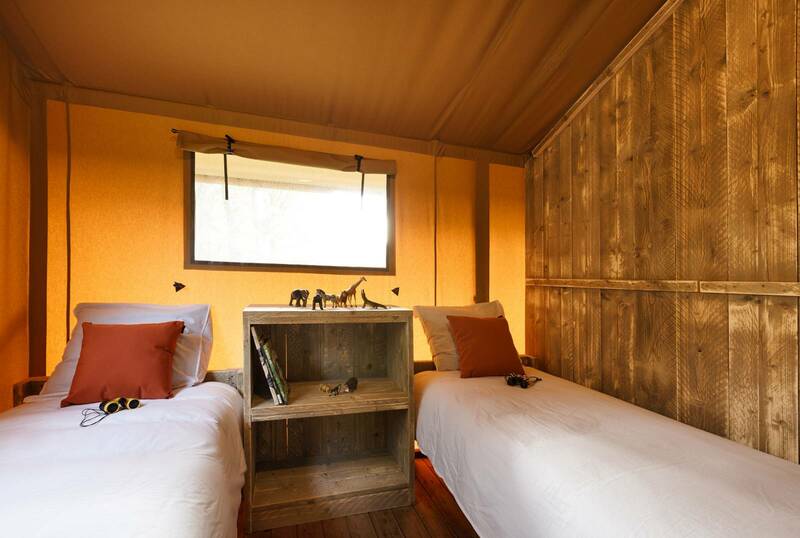 In unexpectedly cold weather, it can get very cold in a Safari Tent at night. Please bring suitable (additional) heating or blankets if you expect this to be a problem. 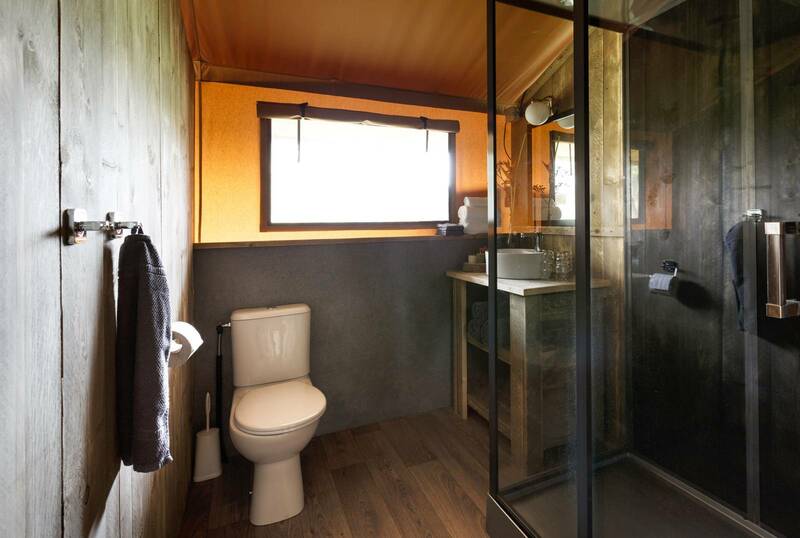 The Safari Tent is situated within walking distance of Karibu Town, where you can have a delicious meal in Restaurant Moto, relax in swimming paradise Maji Springs or have fun bowling. 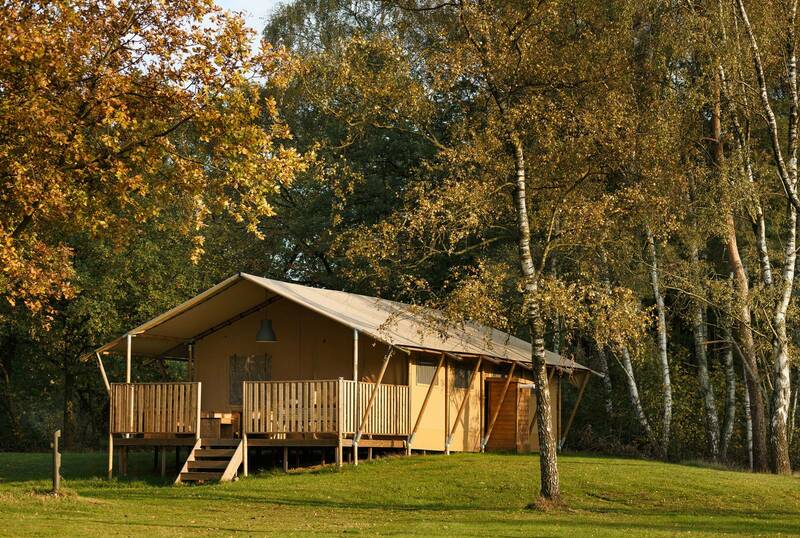 Walk past the expansive savannahs where you can marvel at the wild animals. 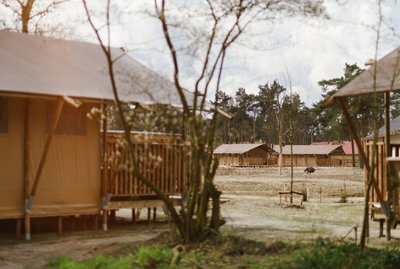 In addition, the free Attractions Pass gives you access to Safaripark and Speelland Beekse Bergen, among other things. Our nature has plenty to offer.